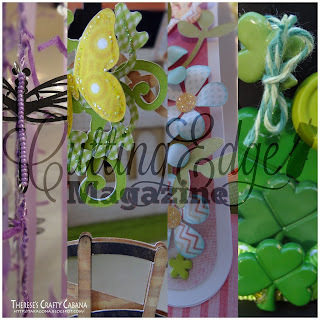 Therese's Crafty Cabana: Cutting Edge Magazine Give Away! My hope is to inspire people through my art and to help others get their creative juices flowing. Cutting Edge Magazine Give Away! Hello everyone! I have a surprise for you. Another issue of the Cutting Edge Magazine is coming out March 1, 2013, and I have been generously given one March/April issue to give away to one of my wonderful followers! 1. Follow my blog and leave a comment on this post (with your e-mail, blog, website or facebook page info) between now and next Thursday, March 7, 2013. 2. For another chance to win Like my facebook page and comment on this post letting me know that you did. 3. For yet another chance to win Like the Cutting Edge Magazine facebook page and comment again on this post to let me know you did. So there are three chances to enter, but if you want even more ways to enter, the entire design team on the magazine have been given one issue to give away and below are the links to their giveaways! Just so you can see a little peak into my submissions, I put together this collage for your viewing pleasure. Let the games begin!!! Go!! That is neat, so cool that you are in a published magazine! 1. I have commented on your blog. 2. I have joined your Facebook and made a comment. 3. I have joined the CEM Facebook page and made a comment. I'm a brand new Silhouette Cameo owner thanks to my darling hubby. It was a Valentine surprise! I need help and inspiration! Thanks for a chance to win!! What a great gift from your husband! Welcome to the winderful world if digital die cutting! Good luck. WOW this sure is hectic!!! lol but fun Hope I win a magazine !! Just heard about this magazine tonight!! Lol! Thanks for joining the chaos! Good luck to you. 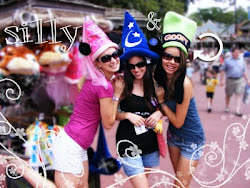 Come check out this awesome blog! Great Stamps and SVG files! Jo-Lynne explains how to make a Button for your blog!!! Check out her turorials! I live in Florida and I am an artist/scrapbooker/cardmaker/crafter...basically I love making things, especially creative fun sparkly things. I come from a hefty family of 11, my mom and dad, 7 sisters and baby brother. All but 1 of us were born in Germany, and I spent a total of 11 years there growing up. I know what you're thinking...military family, but no, my dad worked as an electrical engineer for the Government and they had him stationed over there several different times. While I was in Germany I got the chance to tour some near by sites such as Paris, Amsterdam, The Czech Republic, London and The Neuschwanstein Castle as well as Bavaria and tons of German towns. I am blessed to have had such a cultural life and now that I have been in America for 14 years (We moved to Oklahoma when I was 15) I can really appreciate the convience that this country offers. I love discovering other blogsites, so if you stop by my blog drop me a comment with your blog link and I'll be sure to check out your page.